What is a synthetic gem? 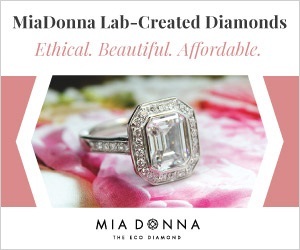 What’s the difference between those and lab created or simulated gemstones? Synthetic Gemstones – Synthetic gems have the exact same physical, chemical, and optical properties as their naturally mined counterparts. The only difference between synthetic gemstones and natural gems is that synthetic gems are grown in the lab and not mined. Because they are created under ideal conditions they match or exceed the highest grade naturally mined gemstones. Lab Created Gemstones – Lab created gemstones have essentially the same physical, chemical, and optical properties as their naturally mined counterparts. They may not be 100% the same as the natural gems but they are not simulated or imitations. An example would be lab created opals. They are composed of 70-80% silica (what naturally mined opal is composed of) and the rest is a bonding agent. They are not an imitation but are not identical to the naturally mined opal. Gemstones that are considered by most to be synthetic are sometimes also called lab created just to err on the side of caution. Simulated or Imitation Gemstones – Simulated or imitation gems do not have the exact same physical or chemical properties as their naturally mined counterparts. The only similarity between the simulated gem and the natural gem is optical – they look the same or very similar. A perfect example is the cubic zirconia or cz gemstone which is used as a diamond simulant. CZs look identical to flawless diamonds to the untrained eye but are not composed of the same materials. For more information about cubic zirconia, please see our cz information page. Another example is the use of moissanite which was a great imitation gemstone for diamonds because of very similar properties. Back when the identification of moissanite wasn’t that well established, many dealers fell prey to scams when buying used diamond rings. For more information about identification, this article at Beyond4cs.com highlights some of the steps you can utilize to make the differentiation. - The best guide on figuring out pear shaped diamonds and their ideal proportions. Copyright © 2019 Jills Jewelry. All rights reserved.